The Queen isn't here for her fashion. People give Meghan Markle a hard time for breaking royal protocol here and there, but for the most part she seems to be nailing it. Like, she even recently wore pantyhose to an event just to make Queen "Terrible Taste in Legwear" Elizabeth happy. But her fashion sense isn't cutting it with palace courtiers, who reportedly told Meghan she needs to re-evaluate her lewks. According to The Daily Mail, a source from the "fashion teams" that "visited Kensington Palace" claim that "Meghan is being told she needs to start dressing less like a Hollywood star and more like a royal." This is a direct result of the Queen, who is said to have "raised eyebrows" at Meghan's fashion choices—which include wearing black when no one is in mourning, showing off some leg (her thigh-high slit on royal tour was epic), and not wearing hats when she's supposed to. 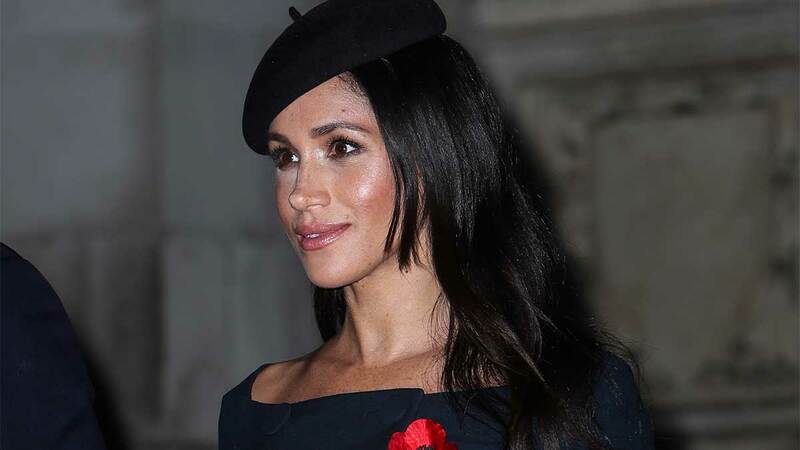 It's unclear whether or not Meghan will adjust her style as a result of the Queen's alleged raised brows, but hopefully she won't because these rules are archaic. LET MEGHAN LIVE.